The Wednesday before Thanksgiving is widely believed to be the busiest bar night of the year in America. With friends and family in from out of town, the kitchen most likely occupied, and a stressful holiday approaching, it's a great time to catch up with a cocktail in your hand. Have no fear— the Inlander is here to help. 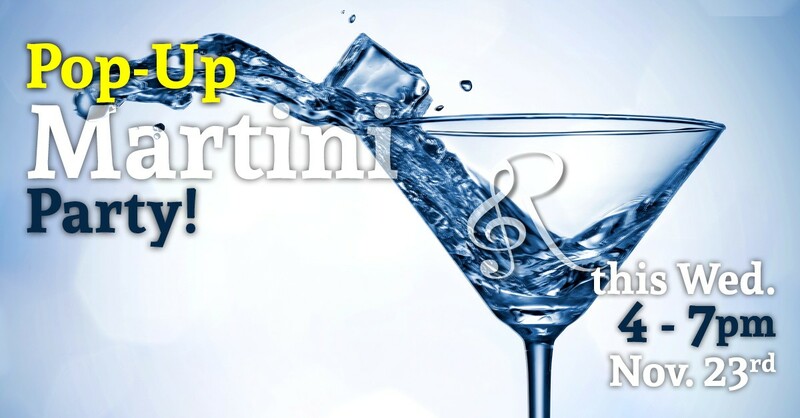 From 4 to 7 pm tonight at The Reserve in downtown Spokane, there will be $3 martinis and $5 drink specials, sure to get you cheaply and sufficiently relaxed to deal with the hubbub of tomorrow's family festivities. This is the first of our new Pop-Up happy hour series and this time around, we'll have giveaways including Coeur d'Alene Holiday Cruise tickets, Inlander swag, a River City Brewing growler, Tom Sawyer coffee and more. DJ Jazzy will be spinning some tunes for your sipping pleasure.